So you have booked your once-in-a-lifetime safari, now what? Now you prepare for it! Packing for a safari is just as important as booking it way in advance. After you spend so much time researching, planning, booking and spending a lot of money for your safari trip, you want to make sure you are going to enjoy it. Your safari attire can really make or break your safari experience. After all the time and money spent on your safari, the last thing you want to do, is have a bad experience because you didn’t pack the proper long sleeve shirt or convertible pants. Rest assured, we are here to make you feel more than prepared for your big safari trip in Africa! Our guide has everything you need to know, including clothes for a safari in Africa. Full disclaimer – As a participant in the Amazon Services LLC Associates Program, an affiliate advertising program designed to provide a means for sites to earn advertising fees by advertising and linking to Amazon.com. As an Amazon Associate, we earn from qualifying purchases. 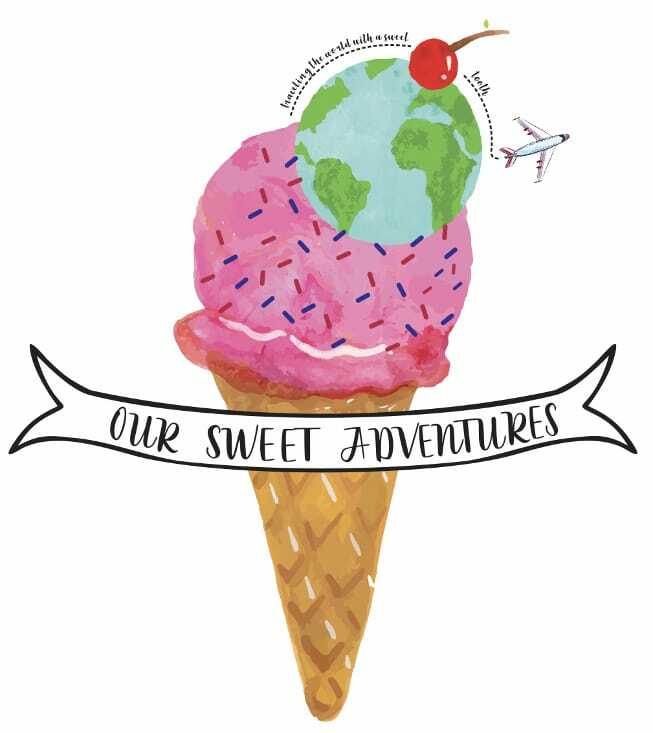 We want to thank everyone following and supporting us on all of our sweet adventures. Your destination has a lot to do with how you need to pack. Are you going to more than one country and parks or only visiting one National Park? We experienced severe climate changes from South Africa to Zambia, Zimbabwe and Botswana. Therefore, we had to pack for both cold and warm climates. Expect the mornings to start off cool, if not cold, depending on the time of the year. Keep in mind, you are going to be in an open vehicle with the cool breeze always coming in, so mornings can feel colder than the predicted temperature. As the morning continues, the weather gets warmer, which is why you must wear layers! We cannot express how important layering is during the morning and afternoon game drives. Afternoon game drives typically start warm, if not hot, and get cool as soon as the sun goes down. You also do not need to worry about looking nice for dinner. In most cases, everyone goes straight to dinner after their afternoon game drive and if you are lucky, you can experience a bush dinner where you definitely do not want to be wearing a dress or khaki pants. Most safari lodges will include complimentary laundry – wahoo! With that being said, if you are flying to more than one destination, chances are, you will fly on small aircrafts with a low weight allowance. So, in both cases, it will be in your best interest to pack light! This brings us to weather. Africa has two seasons – dry and wet. It is best to be prepared for both. Research weather predictions and its previous history. We experienced different weather than the history before showed us. The weather also changed drastically, so be prepared for anything. Botswana – wet season is from November through April with high temperatures of 91°F to low temperatures of 69°F. The dry season begins in May and ends in October with cool temperatures of 42°F and warm temperatures of 80°F. Though September and October are in the dry season, they are actually the hottest months of the year with temperatures as high as 100°F. Kenya – lies on the equator and the temperature changes based on elevation. The wet season is between November to May. At high altitudes the temperatures average around 75°F to 81°F and at lower altitudes the temperature increases to 86°F. March through April are the rainiest months of the year. The dry season is between June through October and have low temperatures of 50°F to 73°F at a high altitude and daytime temperatures of around 82°F at lower altitudes. Namibia – tends to get a little humid during the wet season, which is November through April. The hottest and most humid time period is between January and February with high temperatures of 95°F and up to 105°F in the desert. Humidity is low during the dry season between May to October with an average low temperature of 40°F during the night and 75°F during the day. South Africa – with such a vast country it is difficult to pinpoint exact average temperatures, but for the areas with a lot of wildlife, such as Kruger National Park, guests can expect the wet season during October to April and the dry season during May to September. The wet season can get humid with high temperatures of 104°F. While the dry season sees almost no rain at all with low temperatures of 42°F during morning game drives. Tanzania – lies close to the equator and has a tropical climate. The west season is from November to May, while the dry season is from June to October. Afternoon temperatures during the wet season are pretty consistent with temperatures of around 86°F. During the dry season the temperature is between 68°F and 86°F during the day with low humidity. Uganda – straddling on the equator with barely any change in temperature year round, but the dry and wet seasons change twice a year. The wet season is during March to May and September to November. The dry season is during June to August and December to February. The temperatures year-round average around 61°F to 82°F. Zambia – the wet season is from November to April, but December through March has the highest amount of heavy rainfall to fill the Zambezi River. During this time of the year, humidity is very high and temperatures are between 64°F and 84°F. The dry season is from May to October with the first sight of rain beginning in September. In addition to rain, September and October are the hottest months of the year with temperatures of up to 104°F. Zimbabwe – similar to Zambia, the wet season is from November to March, but December through March has the highest amount of heavy rainfall to fill the Zambezi River. Temperatures are around 64°F to 90°F. The dry season is between April to October with temperatures as low as 43°F and as high as 90°F towards September and October. When you think about safari attire, you may think about the luxurious Hollywood styles, but truth be told, there is nothing luxurious about safari attires. They are not cute by any means and they are not meant to be cute. They are meant to keep you comfortable and safe during your three to four hour game drives. This was something Christina found hard to accept, as she wanted to look fabulous on every drive. We wouldn’t say we looked fabulous, but we did fairly well looking the part and you can too. There are four key elements we find the most important when picking the right safari attire – versatility, color, quality and material. Versatility – as we said, layering and finding clothes to be used after a safari is important. The most versatile clothes you can find are convertible pants (2 clothes in one, heck yes) or roll up long sleeves. We briefly talked about how you do not need to get dressed up for dinner, but if you still want to look well dressed, we suggest you find versatile pants, flash dry polos and long sleeve shirts that are comfortable for an afternoon game drive while also appropriate and appealing for a candlelit dinner. Color – brown, tan, beige and green colors are the best for safaris. They are also the staple colors for a safari and you will find rangers and trackers wearing them. If they wear them, then you know you should too. White is also a nice color, especially for a classic look, but has the chance of getting dirty easily on a safari. The colors you want to stay away from are red, blue and dark. Red scares away the animals, while blue and dark colors attract the tsetse fly. Quality – buy clothes from reliable brands because you are going to wear your clothes a lot and sometimes in harsh conditions. If you buy quality clothes by reliable brands, they can last you a lifetime. You can also find reliable brands that are on the higher end for lower cost by shopping sales (more on this further in the article). We love The North Face, they fit us well, they last forever and they have a fashionable style we enjoy. Other great brands are Patagonia, Columbia and Dickies. Material – the type of material you wear on safaris is very important. Materials such as polyester and cotton with flash dry and UPF30 technology are the best for your safari attire. The flash dry shirts keep you from sweating through your shirt during those hot days, or can dry fast if you get a little wet. The UPF30 is the most important of all because it protects you from harmful Ultraviolet A and Ultraviolet B rays. Safari clothes are not cheap – depending on the brand and time of year, you could be spending hundreds of dollars. To help offset the costs, purchase clothes every month instead of all at once and purchase them on sale. We made the mistake of purchasing all of our safari outfits a month before our trip and it really took a hit on our bank account, so don’t make the same mistake we did – start purchasing your safari outfits far in advance! Do not just buy clothes for your safari, try to find clothes that you will continue to wear in your everyday life. We enjoy the outdoors and hike often, so we purchased clothes we could use on future trips and hikes. To make the most out of your money, find clothes that can be of universal use to you after your safari trip. We did not purchase any clothes for our safari at full price and we hardly ever do in our daily lives. If you are a really big planner, hit the best holiday sales such as, Labor Day, Black Friday and Cyber Monday – you can save A LOT of money. Another great money saver is finding online stores that sell past season clothes such as, Amazon, Nordstrom Rack and 6pm. We found at least half of our clothes from 6pm (owned by Amazon) and were very happy with their service. For more help on how to maximize money on shopping and earn points/miles to receive FREE flights, check out our helpful article here. The best brands for safari attire that can be versatile for any trip, including hiking Machu Picchu, are The North Face, Patagonia and Columbia. They all offer everything needed for your safari attire – comfort, style, versatility, flash dry, UPF and more. Here are a few essentials you need to pack for your African safari. It is important to have light weight, flash dry and UPF short sleeve shirts for your safari attire. We recommend packing at least four short sleeve shirts. Having clothing with long sleeves is also needed for those really cold mornings or nights. The weather is always changing, so we found some mornings extremely colder than afternoon game drives. Due to weather, we did not wear shorts once during our South Africa safari game drives, but we did wear them during our time in Zambia and Zimbabwe. With that said, we still recommend packing versatile shorts as part of your safari attire. Pants are very essential for your safari attire! Not only do the pants keep you warm during the early morning game drives, but protects you from mosquito bites too. The North Face Aphrodite pants are Christina’s absolute FAVORITE! Not only are they perfect women’s clothing for safaris, but also for flights and hiking. Convertible pants are also really useful on safari game drives because you can start off the day cold, but as it warms up, just rip off the bottoms and you are cool in your shorts! Adam enjoyed his The North Face convertible pants. We found a rain jacket very important for our safaris. It rained almost every day during our trip in South Africa, so we highly recommend you pack a light rain jacket for your trip. Safari hats definitely complete the hollywood safari attire, but it is very important to pack because of the sun protection. You will not enjoy your safari with a burnt face, so please buy a hat to protect your skin. Your safari attire is very important. Most travelers recommend at least 4 days on a safari. Therefore, this list is for a 4 to 5 day safari – a total of at least 8 – 10 game drives. Here is our recommended packing list on clothes for a safari in Africa. We hope you found our article helpful for your safari in Africa. With the right safari attire, you will have an amazing time! We sure did! Good tips, I suggest people print this out and take it shopping with them. We just got back from Safari. We packed just like you did and it paid off for us too. I’ll be honest, from time to time I put my Safari gear back on and pretend I’m still out on adventure (Don’t judge me ;p ). We also found great savings by shopping at charity shops like Goodwill and Value Village. We figured, if we are only wearing the clothes on one trip, they might as well benefit a charity. We live in Canada so the temperature was not a big issue for us. Our Maasai guides would rug up (literally) every morning and we just wore our standard outfits. I did love my Zip Off Pants. They were great to change from long pants to shorts in one quick zip. I agree on the bug spray/ointment. We were on safari for 3 weeks and did not get a single bite. Thanks for sharing this post, it is great for people heading on a safari I will be sharing it. Keep travelling and posting…. A big world full of adventure is waiting for you! I have always wanted to go on safari, but have found them to be so expensive! Someday in the future I hope to go for sure. Is there any standout destination that was heads and tails above others? nice packing tips for a safari, I sure would add a bit more colour to it but that is just my personality hehe! Believe us that we wanted to add color as well but they discouraged it because some insects are attracted to certain colors and they would bite you apparently. They also discourage other colors because animals may come after you as well which would be terrifying! I’m yet to checklist Safari trip of my to-do list. Reading your post now, I’m thinking of pushing it forward earlier next year. You’ve got so many tips here, and I’d be bookmarking this page for future information. You should absolutely go as soon as you can. The earlier you can get the clothes the better to. Check the sales and clearance section for deals. You definitely need to go on a safari in your lifetime. The sooner the better. Start buying clothes now and you may convince yourself to go sooner rather than later. This is such a helpful post. I have never been to Africa but I would love to go on safari one day. Will bookmark this for future use! We are hoping to go in 2019! So I love this post! I am saving this article so I can refer back to what I need to pack, I tend to over pack at times 🙂 Plus I am really grateful for the seasons list you have here, helps a lot! We found that our lodge would wash our clothes for us and get them back the same day which drastically reduced the amount we needed to pack. I would look into that before you start packing. I think most people think that it never gets cold in Africa but at times when we were there it was in the 50s which could be cold to some. Nice comfortable outfits here. Hats are always a must when you go on Safari. I’ve been looking into going on a safari in Botswana. Looks like a great list for me to add for my packing. My husband thinks the hat he wore was a little much and he would rather wear his ball caps but when on safari act like you are on safari.